I recently had the pleasure of meeting up with a dear friend and fellow beer lover at the Grey Lodge Pub in Northeast Philadelphia. It’s been many moons since I last visited the Lodge and I was looking forward to seeing what was new. The transformation this establishment has gone through over the past 15+ years has been remarkable. When I first visited it was a neighborhood bar with good beer on tap, a fun quiz night during the week, red vinyl booths, stained drop ceilings and a pretty pathetic food selection – think pizza made in a toaster oven. Now the place is a destination beer spot and made my Geekybeergal Philadelphia Pub Crawl list. The owner took over the second floor and put in a real kitchen and a full veggie and meat lover menu is now available. The drop ceilings have been replaced with wood ceilings, gone are the vinyl booths and now there are nice communal wooden tables. 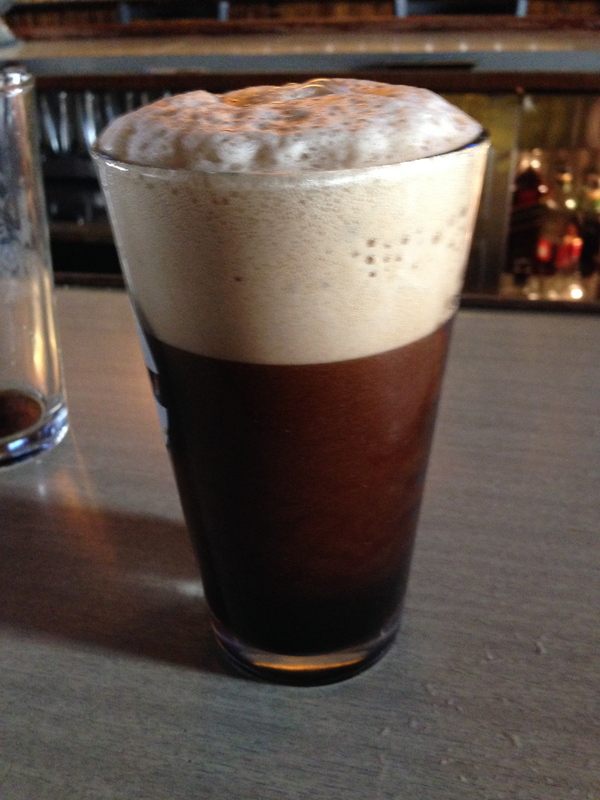 One of the best things about The Grey Lodge Pub has remained the same – FIRKINS! Besides the beers on tap they always offer at least 1 or 2 Firkin beers. If it’s Friday the 13th than it’s the Firkinteenth! The firkins take over the bar and the beer flows from early morning to late night. Worth trying at least once in your beer life. 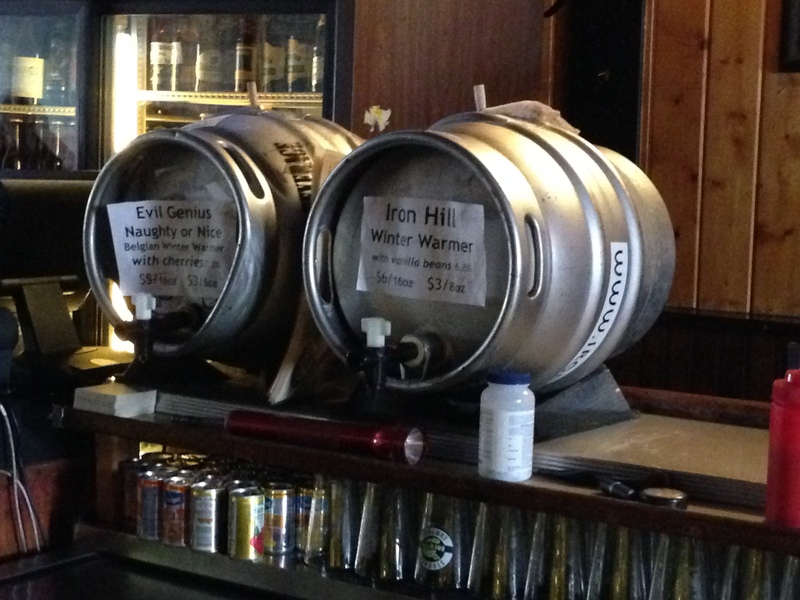 On this particular visit the firkins were Evil Genius Naughty or Nice and Iron Hill Winter Warmer. Between the beers I ordered, samples from the bartender and tastes of my friend’s beers I was able to taste many of the beers on tap. The bartender was very nice about providing samples since she didn’t know her beer. Which was the one disappointment this particular visit. Usually the bartenders know their stuff here, as does the owner, but this particular person didn’t and at least she was honest about it instead of trying to BS her way through things. 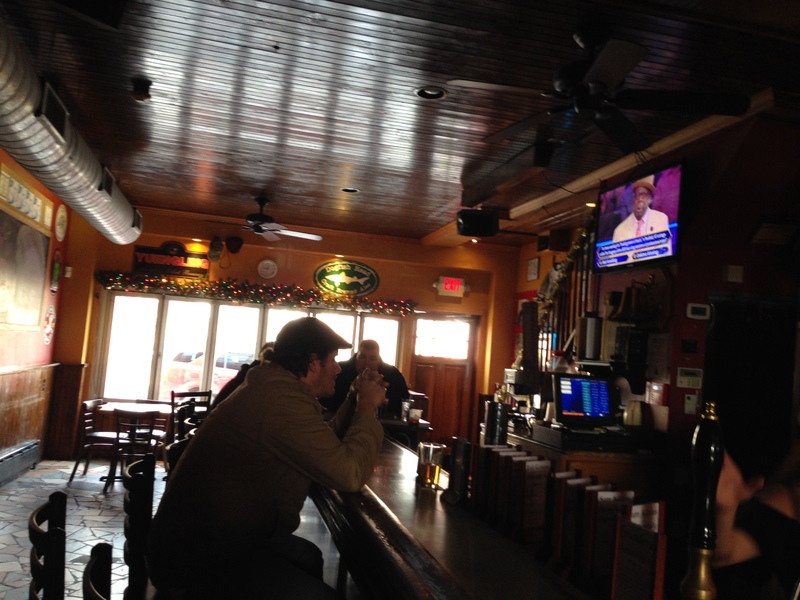 It would have also been nice if she paid a bit more attention to wiping down the bar after the patrons left. 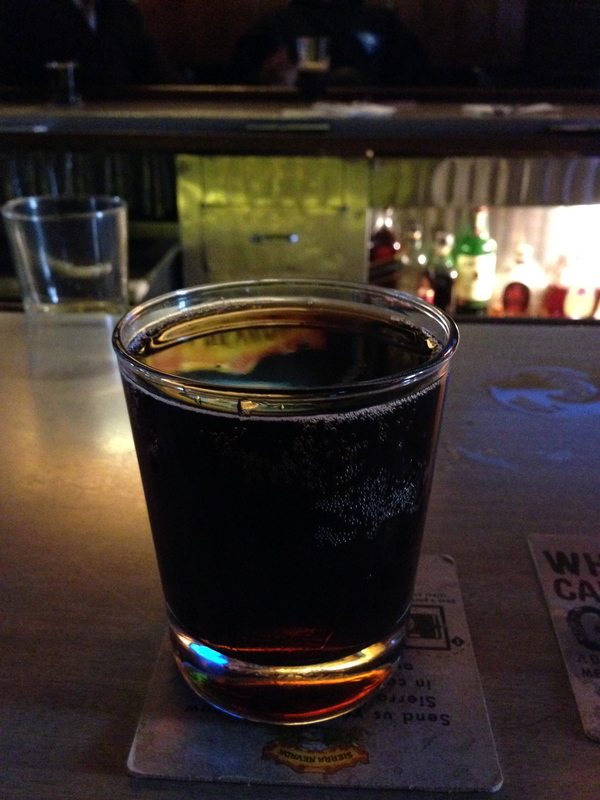 What intrigued about this beer was instead of being a winter ale that it was a stout. The color is baked gingerbread with a nice creamy head. The nose of the beer lets you know before it hits your mouth that you’ll being enjoying gingerbread baked with molasses and the traditional holiday spices of cinnamon and nutmeg. All of these flavors pop in your mouth upon tasting the beer, as well as, a bit of bitter chocolate. There’s a lot going on but is not overpowering and the beer is self is a medium bodied stout and not as robust as one might think it will be. Over all very enjoyable holiday beer. 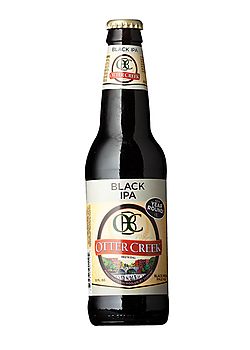 This stout is nice rich dark brownish/black with not much of a head. It has, what I lovingly refer to as, that burnt bitter bakers chocolate taste. This might sound off putting to some but I love it. There is a nice balance of oatmeal and creamy nuttiness. 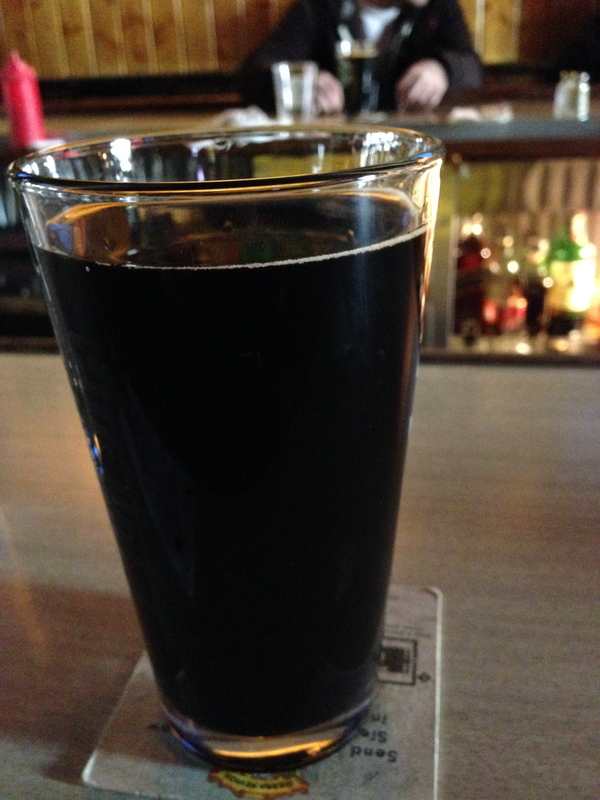 It’s a lighter body stout that goes down smooth and easy. A gentle beer for consumption. Deep brown ale with a light tan head. 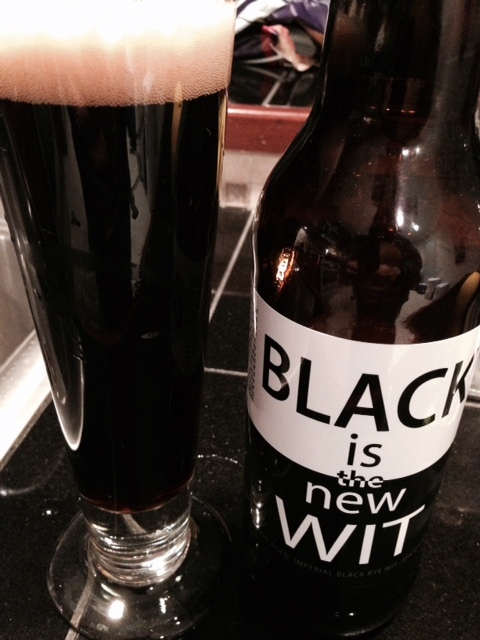 One can definitely taste the dark fruits and winter spices in this beer. It has a nice creamy body that finishes dry and just a hint of bitterness at the end. I’m glad I had the pleasure of visiting The Grey Lodge Pub and catching up with a dear friend. Tidbit of Trivia for you – The Grey Lodge is named after the Lodge in the David Lynch TV classic Twin Peaks.